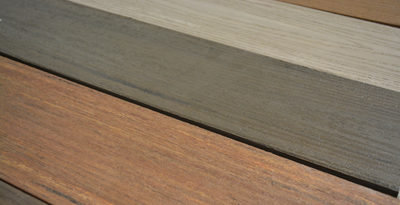 Made of recycled plastic and polymer, this material imitate wood look and is available in different colors. Capped with a thick polymer coating for a better protection. This coating is on of the thickest and most resistant on the market. AZEK's performance materials resist mold, mildew, stains and scratches, damage and fading. Although an Azek composite deck requires very little maintenance, it is recommended that you periodically clean your deck to preserve its beauty and extend its life. Pressure washing is recommended with a maximum pressure of 1500 psi using a flat jet nozzle. To avoid damaging the product, it is recommended to direct the jet in the direction of brushing / grain. For best cleaning results, clean the surface in the morning or in the evening so that the surface is fresh enough. Periodically rinse the deck with a jet of water. This will prevent the build-up of dirt or pollen that can cause mildew stains. Most stains will disappear with soap and water. In winter, to deglaze your terrace, prioritize rock salt or sodium chloride so as not to damage the surface. These products can nevertheless leave white residues that you can rinse with water or with a slightly soapy solution. When using a shovel for snow removal or de-icing, be careful not to damage the surface of the deck. 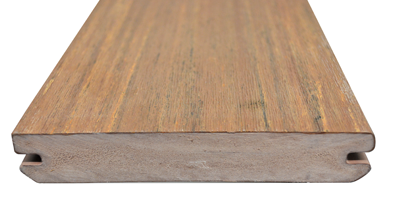 Composite boards are available in two forms to fit almost any fastening system. They can be with square or grooved ends. *On order only. 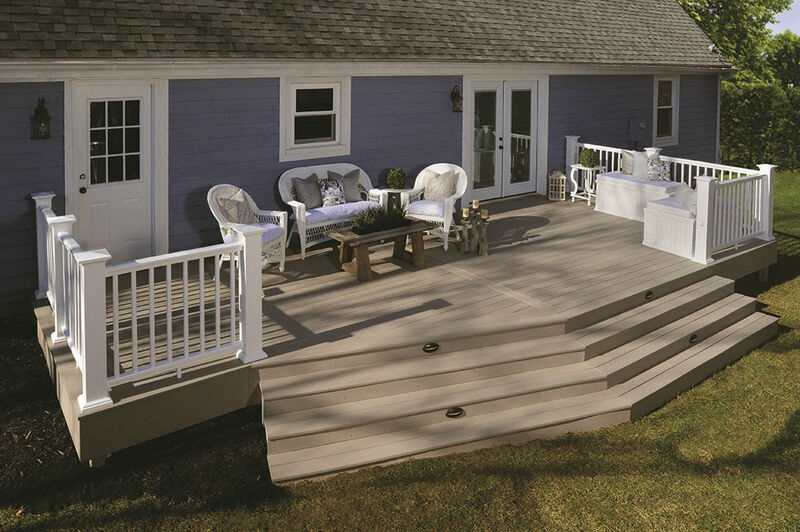 Contact us at 514-322-9330 or 1 800 889-2060 or visit us in store to get more information on our composite wood products and to order your dream patio!